Do your employees often eat alone? If so, you may be missing an opportunity, according to an article on the Society For Human Resource Management's website titled, "Breaking Bread At Work Boosts Bottom Line, Study Claims." This goes beyond the simple question of whether there's food in the break room. The article suggests that communal eating has a marked improvement on performance. Researchers from Cornell studied fire departments in a large city and found that those with kitchens where firefighters ate together earned higher marks for their team performances versus ones who did not. Unlike fire departments, most companies in the U.S. don't provide the perk of food at the workplace, whether it's free or not. A few, such as Apple and Google, do provide food on-site with the goal of offering healthier food options as well as reducing distractions at work. A side benefit of this is that eating with coworkers promotes collaboration and the swapping of ideas. 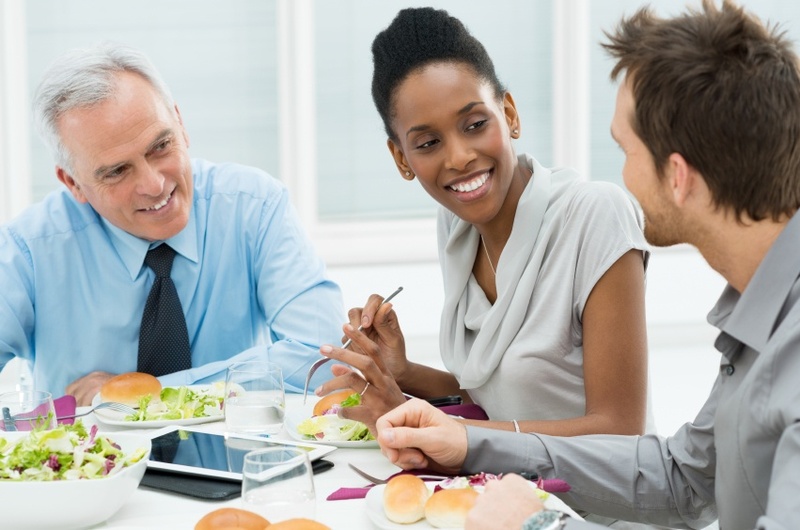 The article says that while eating at work may seem ordinary or even dull, it's a powerful activity that fosters business objectives like improving communication among co-workers who might not otherwise talk with each other, increasing productivity due to employees not having to travel off-site for lunch, and even potentially lowering health insurance costs from the healthier choices offered at an on-site cafeteria. Essentially, everyone needs to eat and people at work have to choose where they eat and whether it's alone or with coworkers. Companies can encourage communal eating and forge ahead with new and improved ways of doing business.